Many soaMDID users have been frustrated by this response to a search: “Too many images match the specified criteria.” This happened if the results included 1,000 or more images. We have just raised that limit to 10,000, so you should no longer see that message. 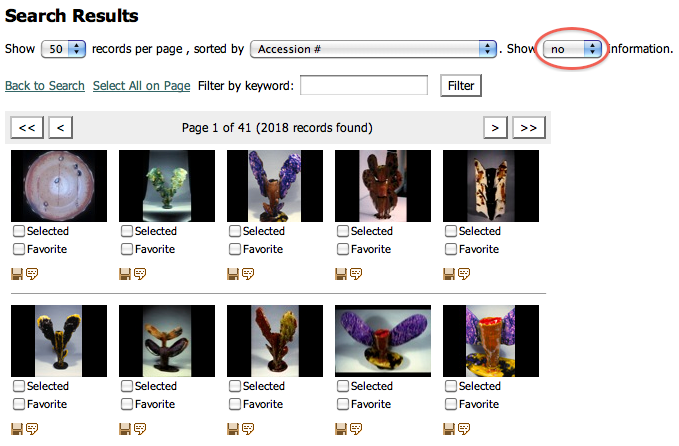 That will make it easier to browse all available images if you choose the “Show no information” option for viewing search results. The image below shows where this selection can be made. This entry was posted on Monday, May 23rd, 2011 at 10:08 am and is filed under soaMDID, Tips about soaMDID. You can follow any responses to this entry through the RSS 2.0 feed. Responses are currently closed, but you can trackback from your own site.